1. What is Whole Brain Teaching? Whole Brain Teaching is an instructional delivery method that was created in 1999 by Chris Biffle in California. While whole brain teaching might represent a radical idea to some teachers, and it might be just a slightly different approach to teaching for other teachers. It is an approach to teaching which integrates movement, gestures, sharing, immediate feedback, songs, chants, and dances into teaching. It breaks learning down into small segments with direct instruction leading to cooperative learning and instant feedback. Teaching to the whole brain requires establishing routines, stimulating emotions and prompting students to become active learners by being involved in direct instruction. Whole Brain teaching is a highly interactive form of instruction which focuses on the importance of students playing the role of the teacher, as well. Therefore, the teachers transfer the role of the “more knowledgeable other” (Vygostski’s idea) to the students, and the students show mastery of content by taking on the responsibility of delivering content several times throughout the lesson, which makes them stay engaged, focused, and take ownership of their learning. Traditionally, education has focused on the right brain activity-the reasoning, rational, and cognitive part of the brain. This technique, seeks to make use not only of the right hemisphere, but also of the left hemisphere which is concerned with creative activity. Movement, and gestures assigned to concepts get tremendous importance in Whole Brain Teaching. Due to the specific techniques employed, Whole Brain Teaching may help tremendously with discipline and classroom management, too. It works with kindergarten through college students. Many teachers praise Whole Brain Teaching, but it also has its critics. Critics said that it does not facilitate higher-level thinking. However, the Whole Brain Teaching (WBT) techniques can be blended with other techniques that target specific critical thinking outcomes while WBT would help you target different aspects of your instruction. WBT has gained popularity since it was developed about a decade ago. I would say that if it fits your teaching style and your students’ learning styles, several techniques might have a great positive impact on your instruction. I personally love using a couple Whole Brain techniques and I’ve also seen great lessons delivered by fellow teachers with amazing positive results. I have used it with mainly with elementary students. However, I was very impressed to see how well it worked with middle school and high school students, as well, when I taught summer school. It helped tremendously with class management and with getting them to actively participate and focus. I would just mentioned the fact that it actually was a life saver during summer school last summer when I taught high school students (I found myself at one point, in front of over 30 students who arrived to the country just one or two years before; in other words, beside the challenges that come with these age groups, these students also spoke little or no English). The Whole Brain Teaching techniques work very well with all age groups and when implemented properly, they can really change the dynamic of your class. A) Class-Yes functions as an attention getter. Whenever the teacher needs the students’ attention, she would call “Class!” or “Class, class!” and the students would respond in unison “Yes!” or “Yes, Yes!” using the same tone of voice. It works great as all the students need to stop any side conversation they might be involved in order to respond. Teachers can use this technique throughout the lesson each time they need students’ undivided attention. C) Teach–OK! By using this technique, students get to teach each other. First, the teacher teaches the whole class a small portion of the lesson, and then he/she calls ‘Teach!” and the students respond “OK!”. The teacher and the students need to use specific gestures when saying these words as you can see in the videos below. Then, the students take turns paraphrasing the teacher and basically reteaching that concept. When teaching their peers, the students are highly encouraged to use gestures. The teacher will observe the students’ comprehension while trying not to interfere. The noise level should be higher during this phase. This technique can be used when teaching new concepts, and also when the teachers want to make sure the students understood the directions. I would mention here the fact that this is a good technique that teachers can use when they want to teach “ACTIVE LISTENING.” When I want to practice active listening, I ask my students to repeat/rephrase what I just said by using the following discussion starter ”Ms. Tripsa said that….” It’s hard to express in words how highly effective this is!!! By using this technique, teachers check students’ comprehension. It is also a quick way to get feedback in real time while engaging all students and while delegating responsibility to students who would teach each other. The students become “the more knowledgeable other.” This technique is extremely effective when working with all students, but even more when working with second language learners. Even when working with older students, oftentimes you would be surprised to hear your students paraphrasing you. You would think that students understand what you are saying most of the time; given the fact that we all have different schema at different points in time and that communication is an art of negotiating meaning, the use of this technique in the classroom has even more sense. I really think it is one of the most important little teaching tricks I have learned while teaching in over a decade! 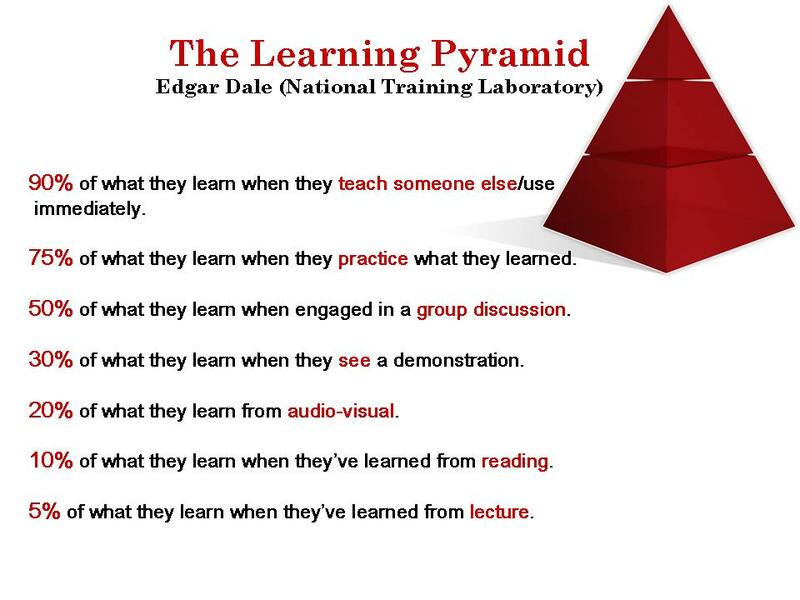 Also, according to The Learning Pyramid developed by Edgar Dale (National Training Laboratory), teaching to others is at top level. D) Switch! This step is used with the Teach-OK” technique, and ensures that not the same student in each pair is the teacher all the time, but that they swap roles. When the teacher calls “Switch!” the students repeat the same word and start teaching their peers that section of the lesson. E) Mirror- When the teacher calls “Mirror!” the students will mimic the speech and the gestures of the teacher. I will share with you a couple of YouTube videos that will help you get a feel of how Whole Brain Teaching looks in practice. If you want more ideas, you might want to visit a blog managed by a music teacher here. 🙂 If you want to use already-made posters with your class, you can find lots of free posters on Teachers pay Teachers. 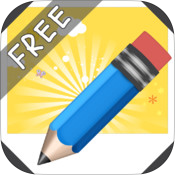 Write About This is a free iPad app (it has both a free and a paid version). No sign up or registration required. It is extremely easy to use and a quick way to get students writing and I would say that once you start using it, it can easily become an app that you’ll be using on a regular basis. Students select categories of photos and write based on a text and/or a voice prompt. For differentiation purposes, students can write about each image using three prompt levels of difficulty. Students and teachers may also create photo writing prompts and share them. To create a writing prompt users can choose pictures from their camera roll, as well. 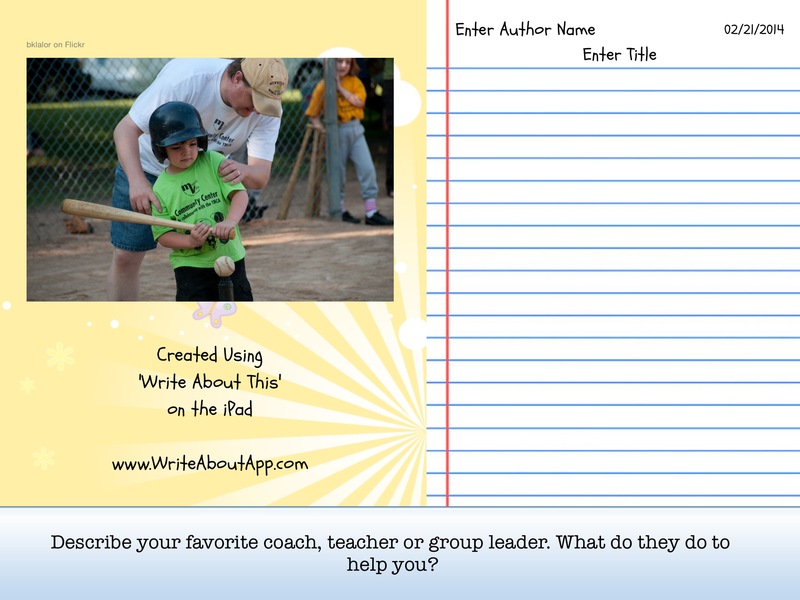 The free version contains 50 prompts; the paid version ($3.99) contains about 500 prompts. You can print out their work by saving it to the camera roll, and it looks very neat. Until next time get creative, be inspired, and grow! If you liked this post, remember that you can follow me via email. This entry was posted in Communication tools, Educational Technology, Instructional Strategies, iPad, Second Language Learners, Video Tutorials and tagged instructional strategies, Whole Brain Teaching. Bookmark the permalink.